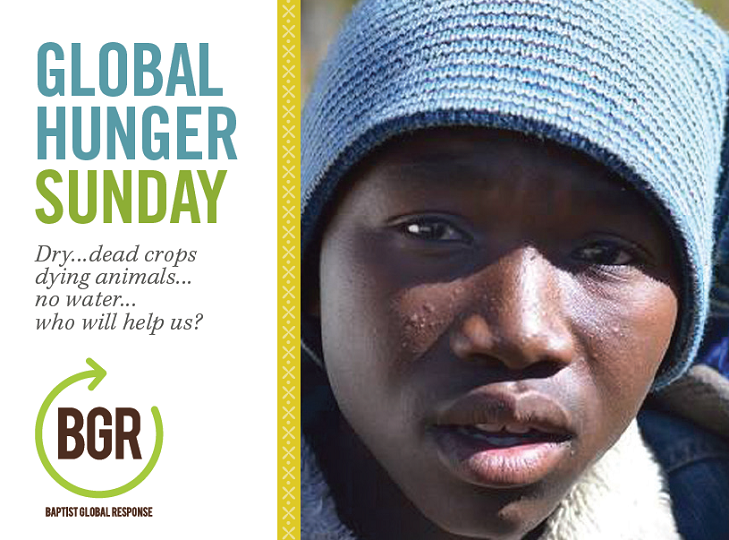 Promote SBC Global Hunger Sunday any time of the year in your church! Download our undated digital media kit to help bring awareness of hunger around the world and inspire your church or group to give. Bulletin Insert – half and whole sheet size, 11″x17″ Poster, digital announcement slide, three sermon outlines. To print the half sheet bulletin inserts, print double sided, flipping on the short edge. Download our short video here.